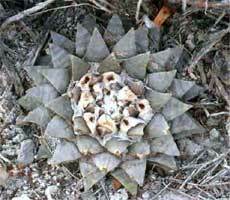 Ariocarpus, retusus LRM86, a mature plant of the most frequently encountered Huizache form. 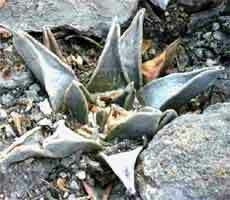 Ariocarpus, retusus LRM86, young plant with exceptionally long tubercles. 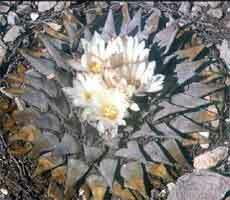 Ariocarpus, retusus LRM86, flowering at Huizache.